Looking at the list of top selling SUVs July 2011, you see a lot of the same makes and models at the top. This includes three of the top five. What’s the reason? Consumers are looking for power and handling, towing and off-road capabilities, comfort and convenience features, roominess and high-tech offerings. Value for the price is also important in this highly-competitive SUV segment. 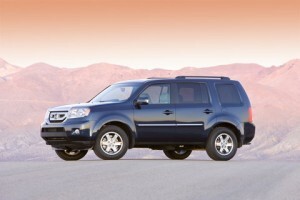 We’ll cover the five top selling SUVs July 2011 in some detail, listing numbers six through 10 at the end. best selling SUVs for July. During the month, the Wrangler sold 14,355 units. For the calendar-year-to-date (through July), the Wrangler accounted for total sales of 67,591, up 20 percent from the same period in 2010. At the rate the Wrangler’s going, the awesome SUV is likely to continue its winning ways for several more decades to come. month. Through July, 61,572 Pilots have been sold, up 3.2 percent over the same time last year. A refreshed 2012 Pilot will likely attract additional buyers, since its looks are softened from the boxy current edition, and there’s more to like inside as well. 3. 2011 Jeep Grand Cherokee – Also maintaining its position in top selling SUVs July 2011 is the redesigned midsize 2011 Jeep Grand Cherokee. In third place for the month, the Grand Cherokee sold 9,499 units and its year-to-date total of 63,869 is up 107 percent year-over-year. What accounts for the sales success? The redesign afforded the Grand Cherokee a more refined interior and better on-road manners, yet its prowess off-road is better than ever. Another plus is the Top Safety Pick status awarded the 2011 Jeep Grand Cherokee by the Insurance Institute for Highway Safety (IIHS). Liberty shows that consumers know a good deal when they see it. Rugged exterior styling and available all-wheel drive are other consumer motivators. For the month of July, Jeep sold 5,809 Liberty models. 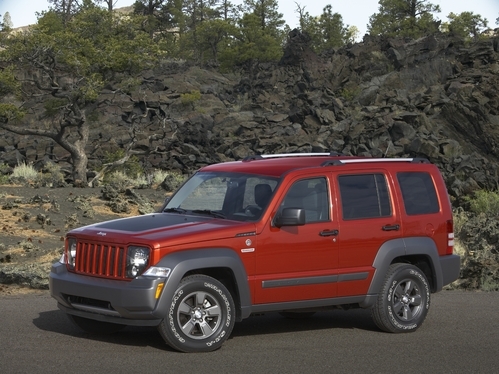 Through July, a total of 37,109 Jeep Liberty models have been sold. That’s up 37 percent over the same period in 2010. 5. 2011 Chevrolet Tahoe – Chevy’s full-size 2011 Chevrolet Tahoe moves into fifth place for July, up from sixth place last month, on the strength of 5,741 sales during July. For the calendar-year-to-date, Chevy sold a total of 39,754 units. That’s off 8.8 percent year-over-year. With seating for up to nine passengers, cavernous cargo space, outstanding towing capabilities and one of the best fuel-economy ratings for a large SUV, the 2011 Chevrolet Tahoe is also a comfortable daily driver that offers just about every comfort and convenience feature available. In spots six through ten of the top selling SUVs July 2011, with sales in parentheses, are the following: the all-new 2011 Dodge Durango (5,364), the compact 2011 Jeep Patriot (4,598), the compact 2011 Jeep Compass (4,430), the large 2011 Chevrolet Suburban (4,265) and the large 2011 Ford Expedition (3,313). Of these models, the Dodge Durango and Jeep Patriot, like the Jeep Grand Cherokee mentioned earlier, are IIHS Top Safety Picks. 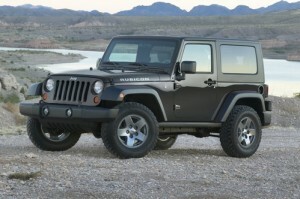 My Prediction is right I really thought that it is the jeep wrangler,It is the SUV of all time.